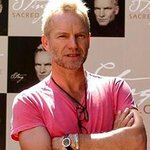 Sting sang on “Do They Know It’s Christmas?” – the hit single from “Band Aid” which eventually led to the Live Aid Concert in July 1985, in which Sting also took part. He was inspired to start working for humanitarian causes through concerts after seeing the “Secret Policeman’s Ball” – Amnesty International's famous benefit concert – in 1979. Following this, he took part in the Secret Policeman’s Other Ball in 1981. He then headlined Amnesty’s Conspiracy of Hope tour in 1986. He joined the six-week world Human Rights Now! tour for Amnesty in 1988, celebrating the 40th anniversary of the signing of the Universal Declaration of Human Rights. His 1988 single “They Dance Alone” chronicled the plight of the mothers, wives and daughters of the “disappeared”, the innocent victims of the Pinochet regime in Chile. Sting has performed at a plethora of benefit shows, including Don Henley's Concert for Walden Woods and Live 8. Sting performed with Sheryl Crowin 2009 at Toronto’s One Night Live fund raiser to support Sunnybrook Foundation's expanding High Risk Mothers and Babies centre at Sunnybrook Hospital.